Gallery Josephine owners Nyama Wingood and Bryan Daigle. The former Dragonfly Gallery is flying under a new name — Josephine. Nyama Wingood and Bryan Daigle are the new owners of what is now called Gallery Josephine. The space is named after Josephine Baker. Ms. Wingood practices Chinese medicine and Mr. Daigle is in product development. The last thing the couple imagined was owning a gallery on Martha’s Vineyard. “It was 100 per cent accidental,” Ms. Wingood said. Ms. Wingood and Mr. Daigle recently moved from Austin, Tex. where they were pursuing master’s degrees. With an eye towards starting fresh, Mr. Daigle suggested relocating to the Vineyard where Ms. Wingood has family. Ms. Wingood grew up outside of Boston and her family moved to the Island full time in 1987. The couple took a four month rental, and, as the end of their lease approached, Ms. Wingood stumbled upon the listing for the Oak Bluffs gallery. Now they’re learning the ropes, everything from what color to paint the walls to purchasing their first collection, and finding their way in the Vineyard art community and beyond. “It sounded like an exciting adventure and an opportunity to be a part of a community institution,” Mr. Daigle said. The couple is jumping in with no previous gallery experience, but friends and family are helping out. 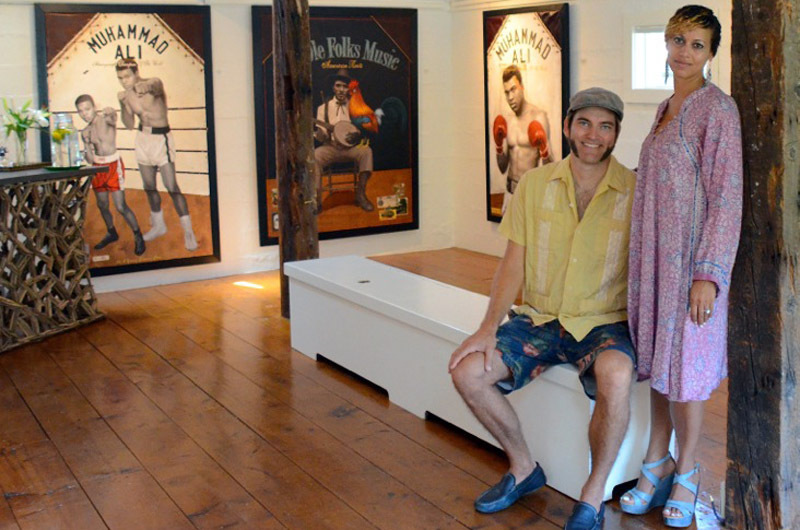 Ms. Wingood’s sister Kali Wingood ran the Belushi Pisano Gallery in Vineyard Haven for five years and the couple’s friend Jules Arthur is an accomplished artist. The couple bought the gallery in June, renovated the space and opened in August. Mr. Arthur’s show is on display until Sept. 7. Gallery Josephine had a soft opening with Vineyard artist Shannon Rynd-Ray earlier this summer. Gallery Josephine also hopes to have a stake in the broader social justice conversation, the couple said. “We’d like to see some action out of here because we’re both very passionate about social justice,” Ms. Wingood said. “We want to bring together thought leaders and influencers in a very intimate setting to discuss the issues of our day,” Mr. Daigle added. Mr. Arthur’s exhibit is part of that initiative, and the couple wants to explore the subject further with panel discussions, performances and possibly film. Mr. Arthur, a New York city based artist, is currently showing his sports series Ascension. His work focuses more on history and the individual than it does on athleticism. “I’m interested in these individuals who transcended their own sport and effected change and history as we know it through their activism,” Mr. Arthur said. A separate show also includes a Bantu Belle work, which highlights the intersection of culture, commerce and the African diaspora. 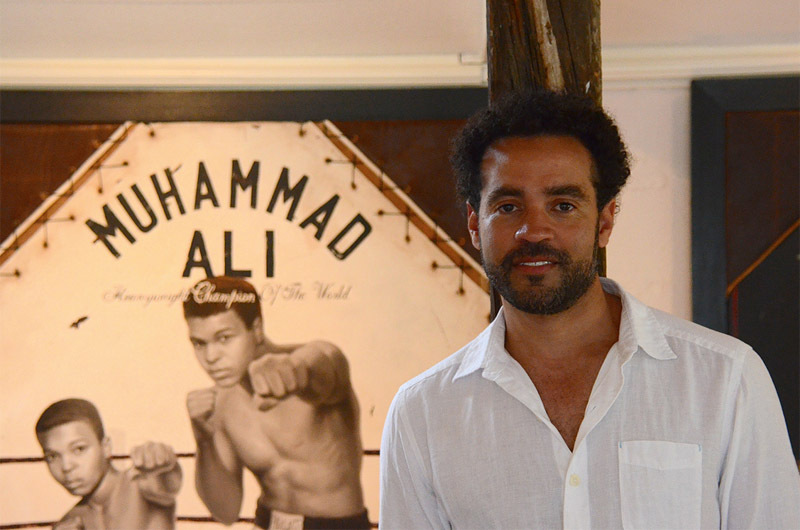 Boxers such as Joe Louis, Muhammad Ali, Jack Johnson and Nelson Mandela now hang on the gallery walls. Mr. Arthur started as a sculptor before shifting to drawing and painting. Mr. Arthur said he isn’t a big sports fan (though his father boxed in his hometown of St. Louis, Mo. ), but the stories, in particular that of Muhammad Ali, always stand out. “The story needs to be told over and over again,” he said. Jack Johnson, the first African-American heavyweight world champion in 1910, also resonated with Mr. Arthur. The two boxers now face each other across the gallery. The gallery hopes to have programming into the fall and possibly year-round, inviting new voices to the Island. “We want to bring something a little more progressive, and bring a piece of New York, Paris or something international to the Island,” Mr. Daigle said. Gallery Josephine is hosting an open house this weekend, Friday from 5 p.m. to 9 p.m. and Saturday through Monday from noon to 5 p.m. 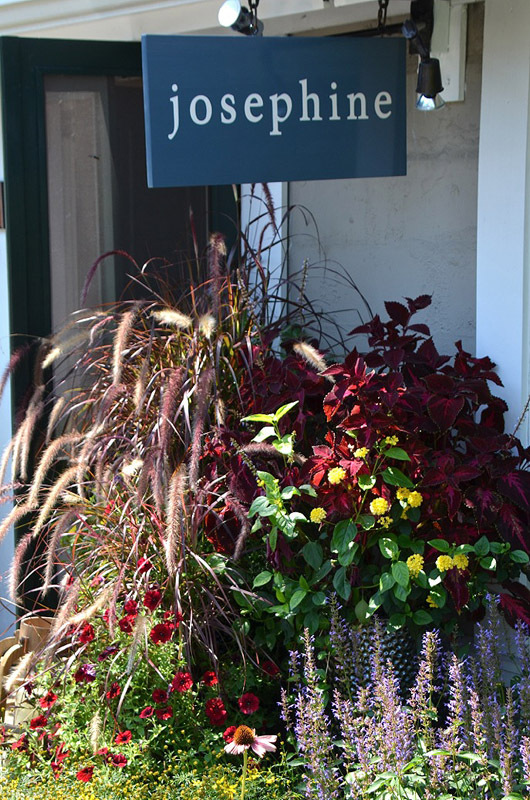 The gallery is located at 91 Dukes County avenue, Oak Bluffs. Welcome to the 'hood, Nyama and Bryan! I wish you much success. Great article, Bryan & Nyama ~ Really proud of your innovative idea of bringing new artists to the public! Congrats! Congratulations, Bryan & Nyama! So happy to see you've found a great vehicle for your social awareness. I'm sure you will make a difference.